Of course, it's also about the coffee. Did I mention how good the coffee is here? It's thick and smooth, and sweetened with condensed milk. 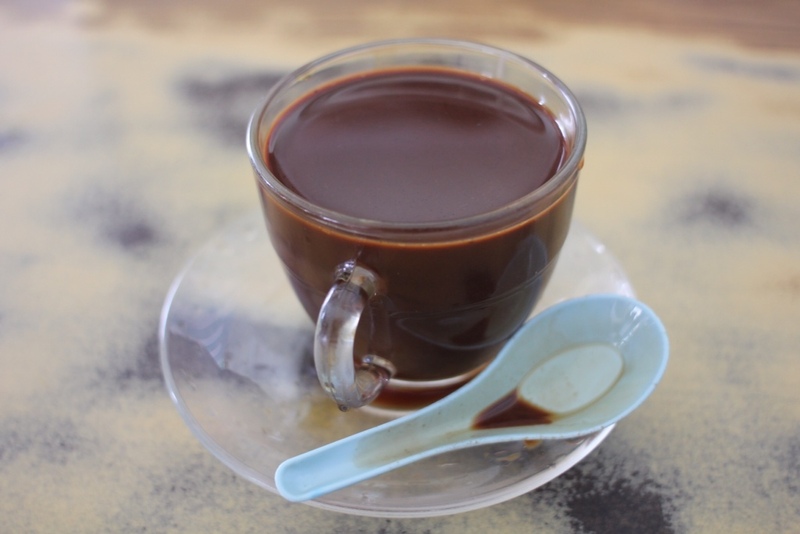 Malaysians have a sweet tooth and unless you specify otherwise, your coffee will be hella sweet. Mr Lemur, in his Latin American way, loves it. But Toon Leong was but a way to strengthen ourselves for the day's real challenge: lunch at the International Hotel. When I first read about this place on Eating Asia, I thought it was, you know, in a hotel. 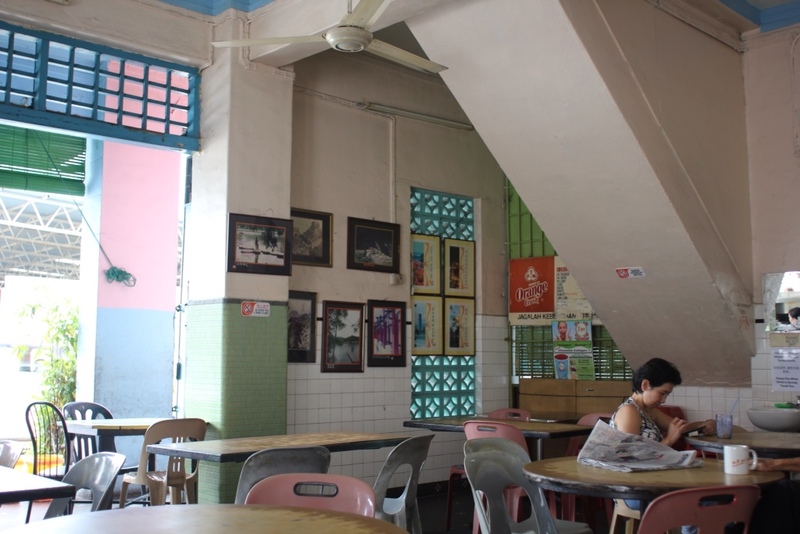 I imagined it was an unexpectedly good hotel buffet rather than, as it turns out, another old shophouse just outside of the tourist centre of town. There might be a hotel in the building for all I know, but banish thoughts of hotel food from your mind. 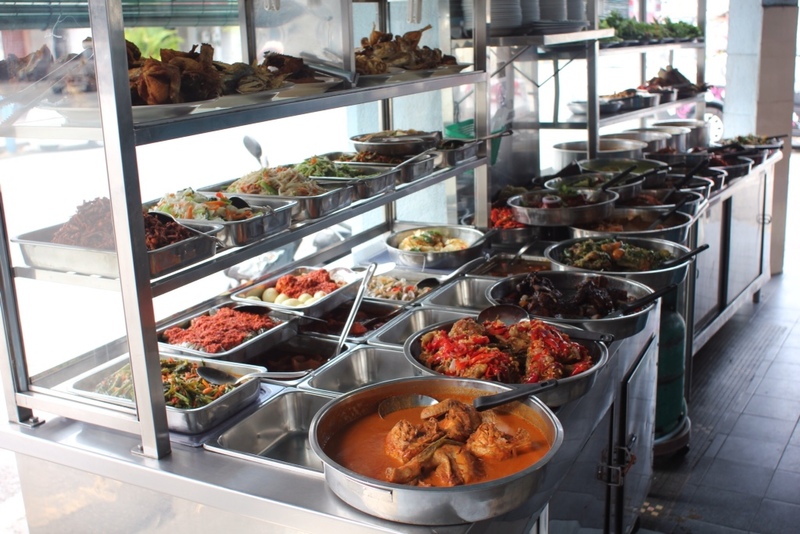 Here they do nasi padang, a Malay term meaning usually rice on a plate with a selection of toppings. But that doesn't quite do justice to what's going on here. There are dozens of dishes lined up in the window, from Indian looking curries to stir fries, grilled vegetables and long-braised rendang. And that's just the first battalion of food! Behind this display is another, smaller one with salads, blanched vegetables, and some buckets of homemade sambals of varying degrees of incendiary heat. I think I actually started to hyperventilate at the thought of making choices. Since you serve yourself and then pay for what you take, it makes sense to try to estimate how much you will realistically eat, to avoid waste if nothing else. But it was soooo hard to limit ourselves! Everything looked spectacular. 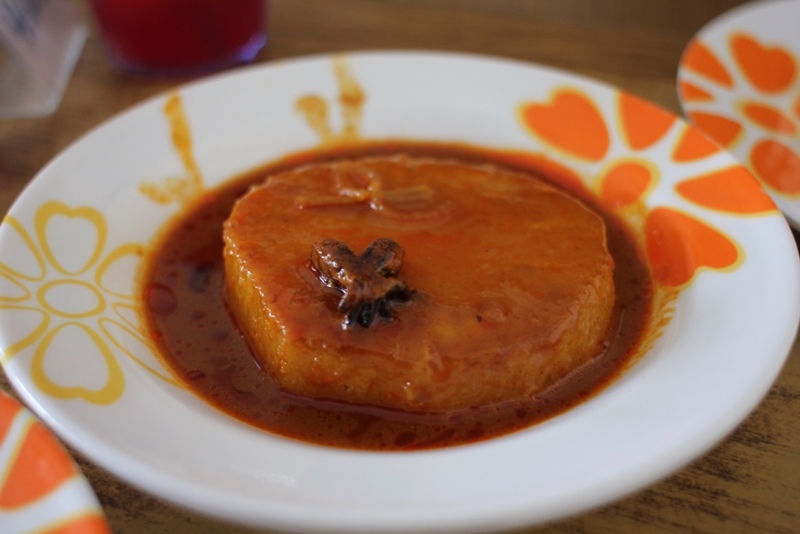 I began with pineapple curry, and unusual dish in which pineapple isn't the sweet accompaniment to meat but the main attraction. Thick rings of fruit floated in a serious Indonesian-style curry sauce that I could have bathed in. 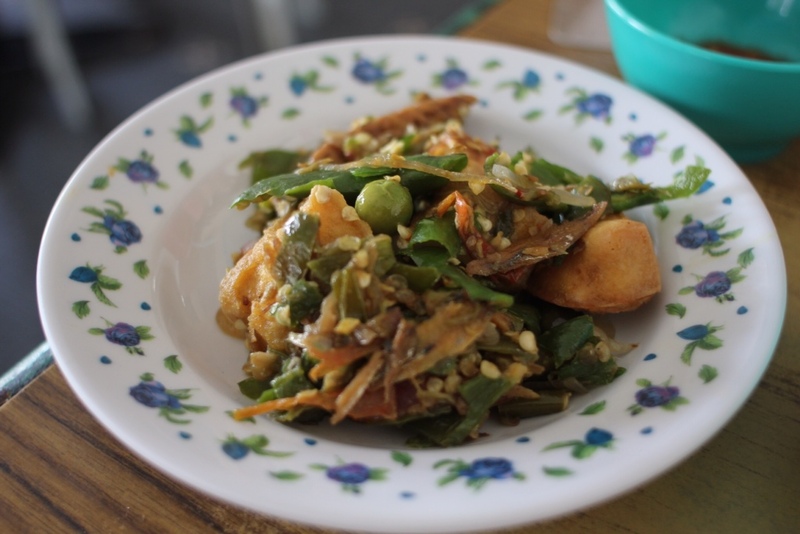 Next I couldn't resist the bright green colours in this deep-fried tofu cooked with Thai pea eggplant and copious amounts of green chillies. (I know, I am literally at the point where I think that chillies counts as eating my 'greens'.) Still, this sparky plate was light and again, so flavourful and its use of chillies as a vegetable was clever. 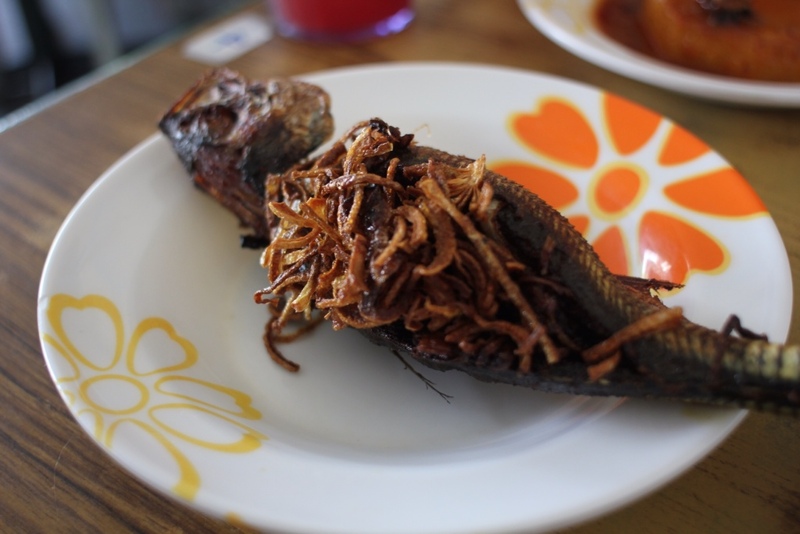 Next was our only actively meaty choice (we were craving vegetables): a deep-fried mackerel stuffed with thinly-sliced shallots. The shallots inside the fish were moist, whereas those that had escaped were crispy and golden. There were only a few on the plate, so we counted ourselves lucky to have scored one of these babies before they ran out. 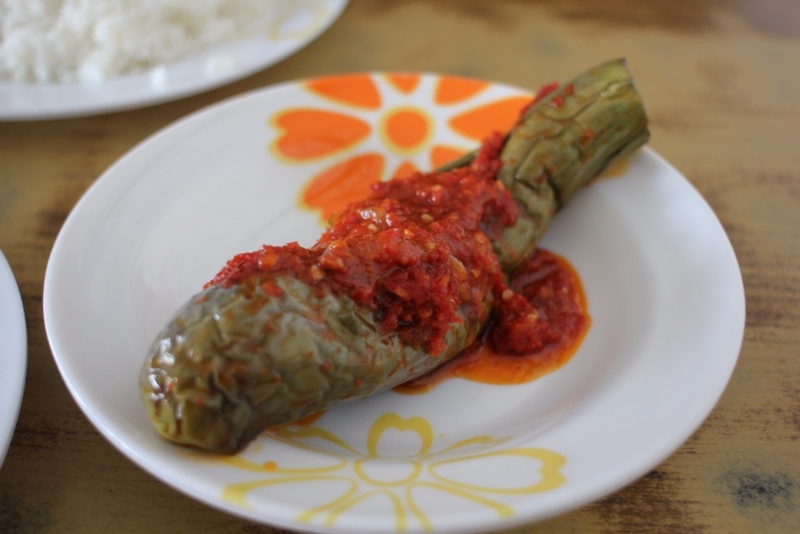 We were also seduced by these eggplants, cooked until soft and squishy, and then topped with a bright chilli and, I think, tomato sauce. It certainly had a sweetness to it that worked well against the smoky eggplant. 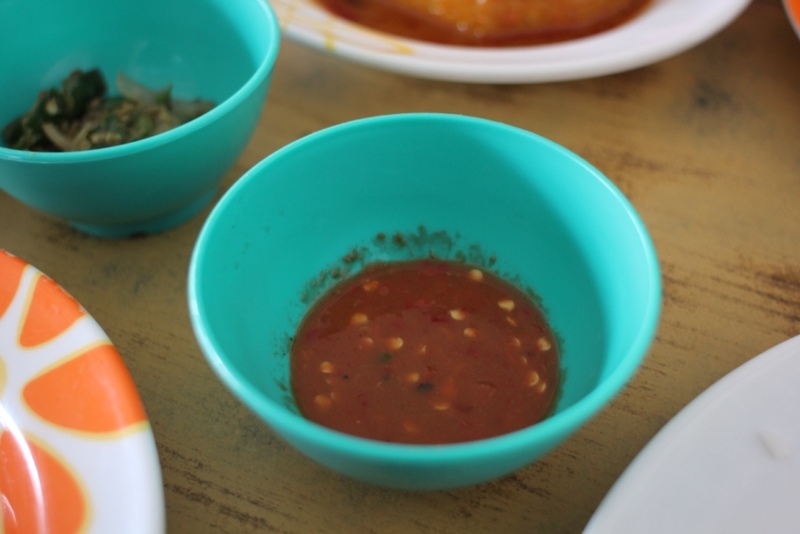 Lastly, I picked up two sambals, the first a belacan-rich red sauce and the other a raw green chilli version that fairly blew away the cobwebs. 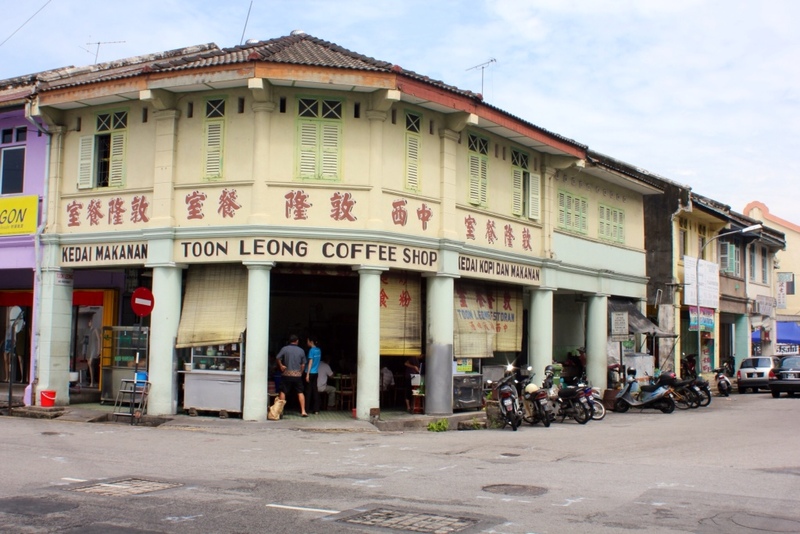 Like Toon Leong, the International Hotel nasi padang is in an airy, cool shophouse with pretty decorative features. We were early enough to beat the crowds so again the lazy atmosphere of taking your time over something to eat and the newspaper prevailed. Here, though, the owners are Indonesian by birth, making the kind of Malay / Muslim food that is very different to the Chinese food we've eaten so far here. That they were open during Ramadan is a sign that things are a whole lot more laid back in Penang than in other parts of Malaysia. The most insane part of the whole enterprise? We ate a vast amount of food, a truly excessive lunch that we couldn't even finish, and I think I've articulated how very very good it was. The bill was RM 20, which is just over £4 or about $6. Yeah. I truly do not know how anything else we eat on our trip can top this. I am already fantasising about going back. 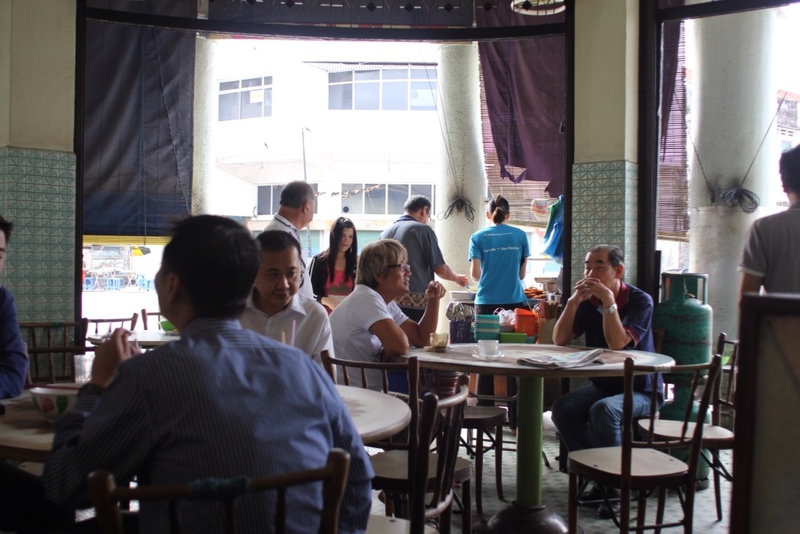 *A lot of our Penang eating comes courtesy of Robyn's generous recommendations. I'll have more to say about her later but for now, just massive thanks for directing us here. 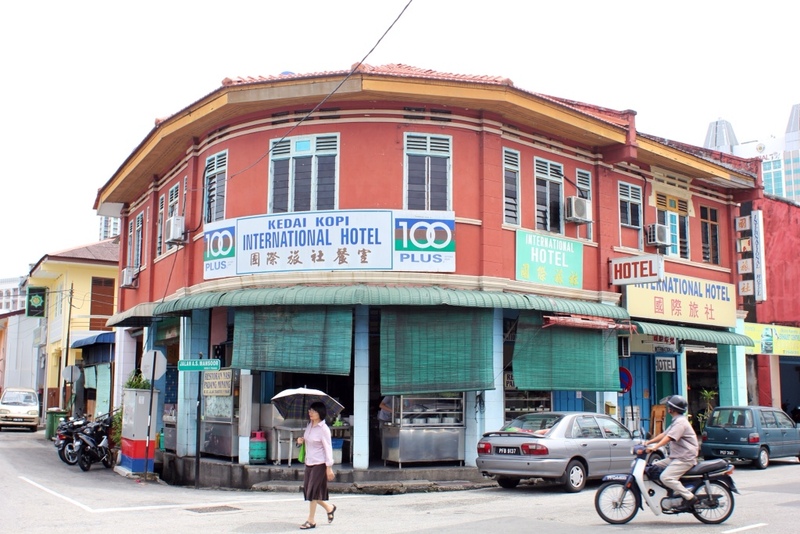 International Hotel nasi padang, Jalan Transfer, Georgetown, Malaysia. You have successfully made me want Malaysian food for breakfast. I wish I had had time to visit Penang when I lived in-country some years back. Great photos! Your pictures make me want to go to all these mouth-watering taste! Good trip! But beware to indigestion! Excuse my english please, I’m french sorry! I would not be able to drink the coffee! I seem to remember being served coffee with condensed milk in Malta. This holiday is turning out to be an eating safari. Hope you continue to enjoy all the sights, sounds and smells. 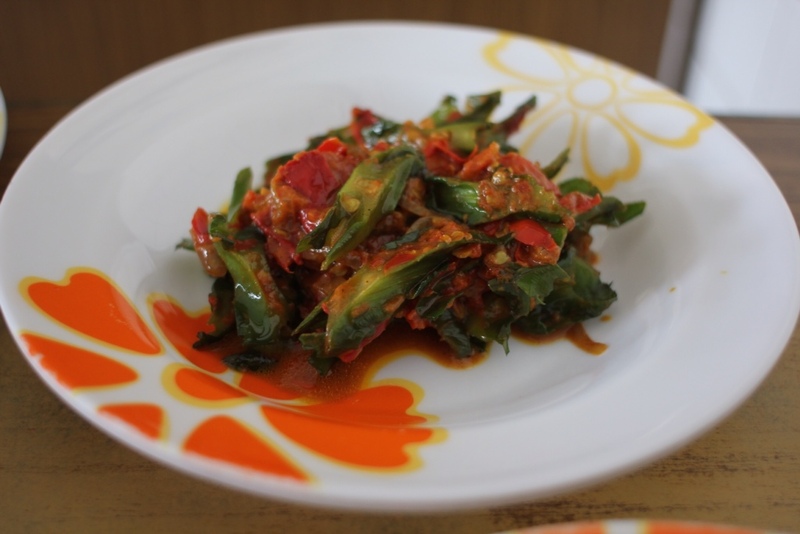 Oohhh, I love fried eggplant with chili! Yum. Your pictures are so mouth-wateringly good! Thanks! Mr Lemur takes the pics – I’m lucky to have his talents.